Creating a cozy atmosphere, the Fairway Suite takes an intimate space and gives it’s guests what they most desire- a bevy of romantic amenities designed to elicit playfulness, passion, and uninhibited emotions. 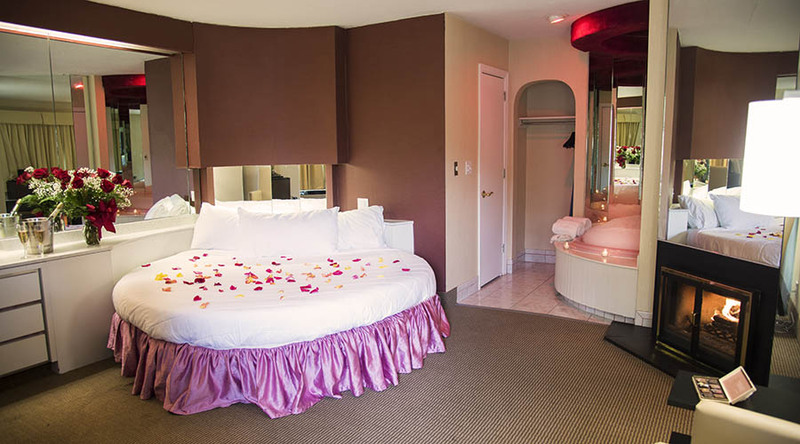 A king-sized blush bed with a granite-quartz countertop begs to be covered with rose petals and candles, the perfect place to relax while your heart-shaped whirlpool fills with the ingredients needed for an adult bubble bath. With new furniture added, the Fairway Suite is suddenly even sweeter.